Rotting Christ about to release ‘Non Serviam: The Story Of Rotting Christ’! 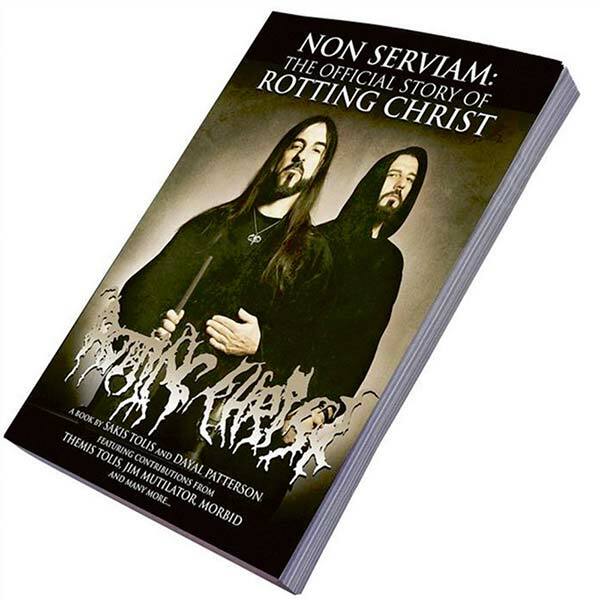 ‘NON SERVIAM: THE OFFICIAL STORY OF ROTTING CHRIST’ is A full-length book created by front-man Sakis Tolis and Dayal Patterson (author of ‘Black Metal: Evolution Of The Cult’, ‘The Cult Never Dies Vol. One’ and ‘Into The Abyss’), and will be released via Cult Never Dies in late November 2018. The book will contain extensive interviews with Themis Tolis, Jim Mutilator, Morbid, George Tolias, George Emmanuel and members of bands including Watain, Mayhem, Enslaved, Moonspell, Blasphemy, Mystifier, Septicflesh, Behemoth, Macabre Omen, Immolation and more.